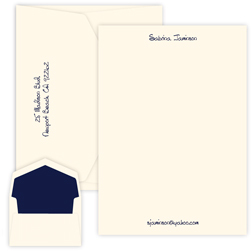 One Of Our Best Selling Personalized Notes. Want something fun and affordable? 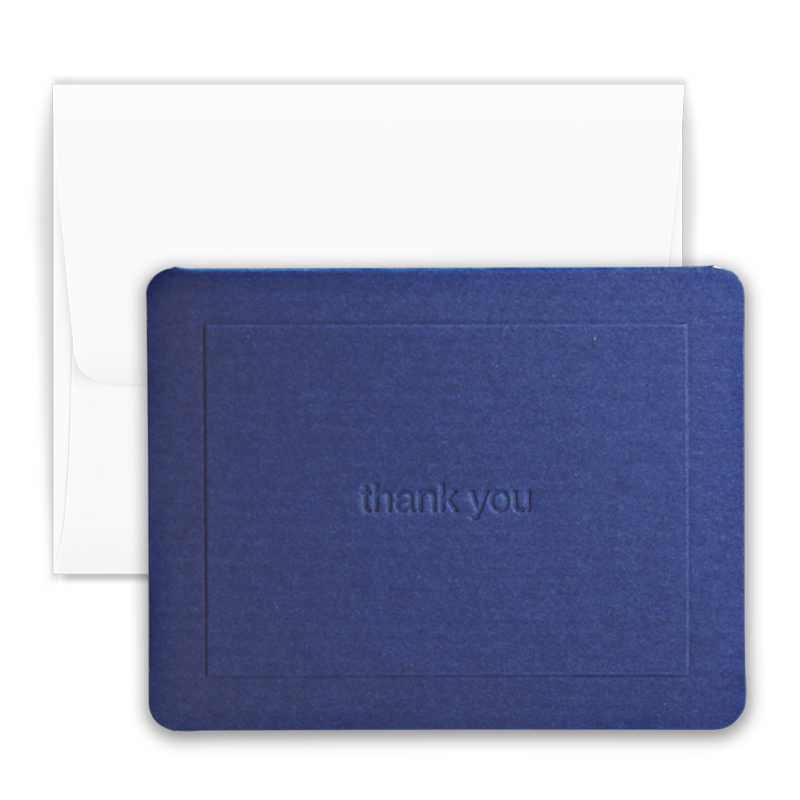 These richly colored Navy Thank You Notes feature a debossed "Thank You" boldly imprinted deep within a triple thick paper stock. 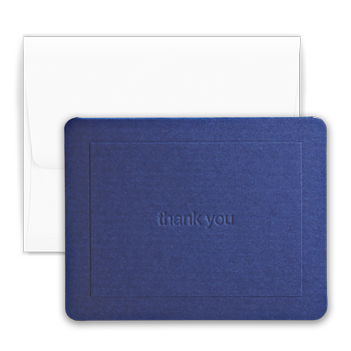 The Triple Thick Debossed Navy Thank You Note is Sophisticated and Sturdy. 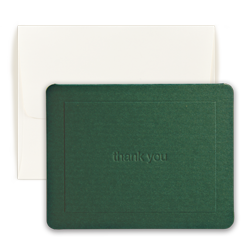 A perfect Thank You Note to follow a birthday, shower, wedding or anytime you want to say thank you. Giftsin24 orders are professionally prepared and packaged. 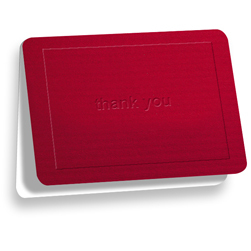 Check out these "Thank You" notes, also available in other colors.